Curious just how far your dollar goes in the Marina? According to Walk Score, this San Francisco neighborhood is very walkable, is quite bikeable and offers many nearby public transportation options. Data from rental site Zumper shows that the median rent for a one bedroom in Marina is currently hovering around $3,322. Read on for a roundup of the latest rental listings, via Zumper. Listed at $3,400 / month, this one-bedroom, one-bathroom apartment is located at 3655 Broderick St. In the unit, you can expect parquet floors, a walk-in closet, stone countertops, stainless steel appliances and wooden cabinetry. The building has on-site laundry, assigned parking and an elevator. Good news for cat lovers: kitties are welcome. 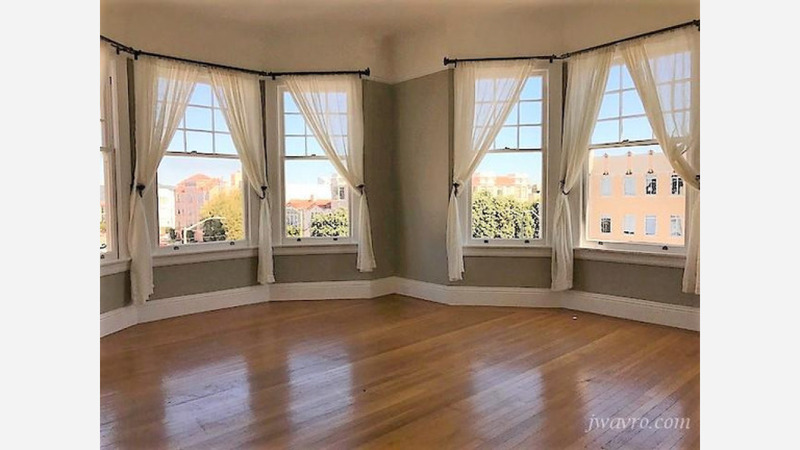 Here's a one-bedroom, one-bathroom apartment at 1701 Beach St. that's going for $3,400 / month. In the unit, you'll get hardwood floors, bay windows, French doors, granite countertops and four closets. Amenities offered in the building include on-site laundry and garage parking. Animals are not welcome. Next, there's this one-bedroom, one-bathroom apartment over at 2844 Lyon St. It's listed at $3,495 / month for its 650-square-feet of space. In the rent-controlled apartment, there are hardwood floors, a dishwasher, a walk-in closet, bay windows and ample natural light. When it comes to pets, both meows and barks are permitted.